BAHIR DAR, Apr 17 2017 (IPS) - As dawn breaks in Bahir Dar, men prepare boats beside Lake Tana to take to its island monasteries the tourists that are starting to return. Meanwhile, traffic flows across the same bridge spanning the Blue Nile that six months ago was crossed by a huge but peaceful protest march. But only a mile farther the march ended in the shooting of unarmed protesters by security forces, leaving Bahir Dar stunned for months. Events last August in the prominent Amhara cities of Bahir Dar (the region’s capital) and Gonder (the former historical seat of Ethiopian rule) signalled the spreading of the original Oromo protests to Ethiopia’s second most populace region. By October 9, following further disasters and unrest, the ruling Ethiopian People’s Revolutionary Democratic Front party declared a six-month state of emergency, which was extended at the end of this March for another four months. On the surface, the state of emergency’s measures including arbitrary arrests, curfews, bans on public assembly, and media and Internet restrictions appear to have been successful in Amhara. Now shops are open and streets are busy, following months when the cities were flooded with military personal, and everyday life ground to a halt as locals closed shops and businesses in a gesture of passive resistance. Speaking to residents, however, it’s clear discontent hasn’t abated. Frustrations have grown for many due to what’s deemed gross governmental oppression. But almost everyone agrees that for now, with the state of emergency in place, there’s not much more they can do. “Now it’s the fasting period before Easter, so people are praying even more and saying: Where are you God? Did you forget this land?” says Stefanos, who works in Gonder’s tourism industry, and didn’t want to give his name due to fear of arrest by the Command Post, the administrative body coordinating the state of emergency. The four-month extension to the state of emergency contains less sweeping powers than before. Now police need warrants to arrest suspects or search their homes, and detention without trial has officially been ended. But grievances remain about what happened before. Locals recall how if young men gathered in too large a group they risked getting arrested. Across Gondar, many unemployed men seek distraction by chewing the plant khat, a stimulant that motivates animated conversation about security force abuses and the dire local economic situation. Beyond such revulsion and frustration, some claim the state of emergency has had other psychological impacts. 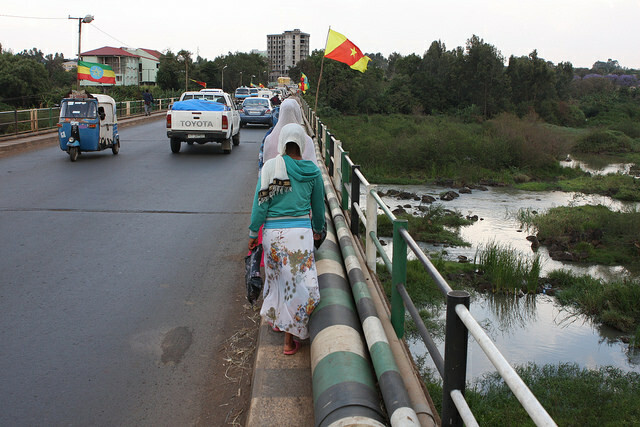 For many the memories of what happened during protests last summer are still raw, especially for Bahir Dar residents. Tens of thousands gathered in Bahir Dar’s centre on August 7 before marching along the main northeast-running road out of the city toward the Blue Nile River, carrying palm tree leaves and other greenery as symbols of peace. After crossing the bridge there are various versions about what happened next. Some say a protester attempted to replace Ethiopia’s current federal national flag flying outside a government building with the older, pan-Ethiopian nationalistic flag—now banned in Amhara—an argument ensued and the guard shot the protester. Others say that protesters threw stones at the building—the guard fired warning shots in the air—then protesters tried entering the compound—the guard fired at them. But there is less uncertainly about what happened next. It’s estimated 27 died that day, the death toll rising to 52 by the end of the week. A total of 227 civilians have died during unrest in the Amhara region, according to government figures, while others claim it’s much higher. Such violence was unprecedented for Bahir Dar, a popular tourist location, known for its tranquil lake and laid-back atmosphere. 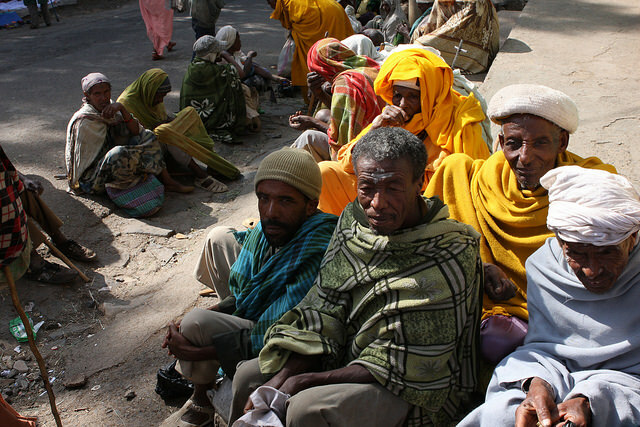 “The city went into shock for months,” says the Ethiopian priest. But as the months have passed, normal daily life has gradually reasserted itself. Many criticise the government for failing to address long-term structural frictions between Ethiopia’s proclaimed federal constitution and an actual centralist developmental state model, as well as failing to resolve—with some saying it actively stokes—increasing ethnic tensions. Joseph pauses to consider, before continuing. Finding such a view in Gonder is much harder. The main road between Gonder and Bahir Dar winds up and down steep hillsides, surrounded by mountains, cliffs and tight valleys stretching to the horizon. 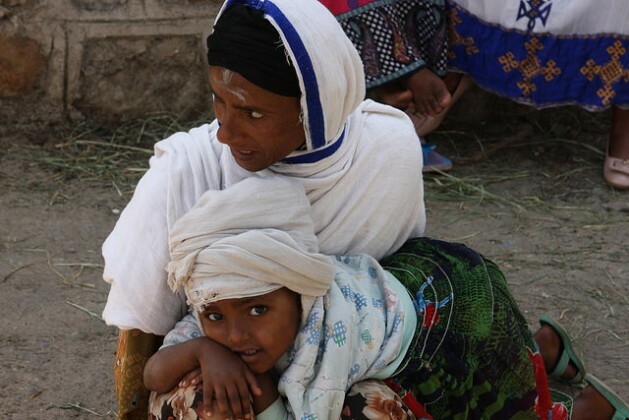 Ethiopia’s vertiginous topography has challenged foreign invaders for centuries. But it’s potentially a headache for domestic rulers too, added to which militarism is a traditional virtue in the Amhara region. In Gonder, men talk admiringly of an Amhara resistance movement which conducted hit-and-run attacks on soldiers when they occupied the city, before withdrawing into the surrounding mountains. 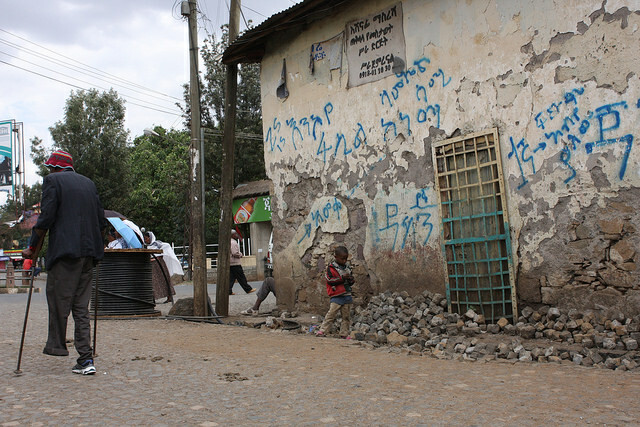 According to Gonder locals, armed farmers have been fighting Ethiopian security forces for months. Young men like Henok talk passionately of Colonel Demeke Zewudud, a key member of Amhara resistance arrested by the government in 2016, and even more so about Gobe Malke, one of the leaders of the farmer insurrection until he was killed this February, allegedly at the hands of his cousin in the government’s payroll. “If the government wants a true and real form of stabilization, then it should allow for a true representative form of governance so all people have the representation they need and deserve,” Tewodrose says. In his role with the Amhara Association of America, Tewodrose presented a report to a U.S. House of Representatives Committee on Foreign Affairs hearing March 9 about “Democracy Under Threat in Ethiopia”. The report also detailed 500 security forces killed during fighting in Amhara—Gonder locals claim many more.